An interesting gemstone – a gorgeous purple shade with black or grey streaks. It is prized for jewellery, and often sold polished or tumbled. A gorgeous mineral ranging from a pale lavender to pink or purple shades, with black streaks. It is found in various places throughout the world, but with a good grade of lapidary stone coming from the Kalahari Desert in South Africa. More recently, deposits have been found in India, Australia, and Canada. Sometimes it is known as ‘Royal Lavulite’, ‘Wesselite’, or ‘Royal Azel’. It may also be known as ‘sugilite jade’ or ‘purple turquoise’, but it is unrelated to these two stones. It is generally an opaque stone, but in gem quality it is almost translucent, and is highly prized. It is commonly formed into cabochons, beads, drop pendants, etc – it provides an interesting contrast with both silver and gold, and other gemstones, as deep purple stones other than Amethyst are somewhat rare. It is a relatively soft stone, measuring 5.5 to 6.5 on the mohs scale, so some care is recommended with jewellery containing the stone. It may also be worth considering keeping it seperate from harder tumblestones, etc. It is a relatively recent discovery, named after the Japanese geologist Ken-ichi Sugi who discovered the original samples in Southwest Japan in 1944. It is considered by some to be an excellent stone for pain relief and healing. It is associated with the Heart chakra, and is said to strengthen the heart and produce a sense of bodily well being. 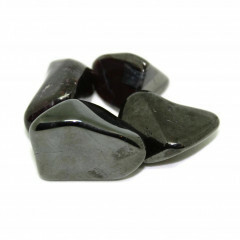 It is also considered to be an excellent stone for memory and especially dream recall.